Background and objective: Fine needle aspiration cytology (FNAC) of salivary gland lesions is an accepted and useful diagnostic tool to differentiate between benign and malignant lesions. Majority of the neoplasms are benign, and specific diagnosis on cytology can be made in most of the cases. However, the utility is limited by the overlapping and heterogeneous morphological features of benign and malignant neoplasms. The current study aimed at investigating the cytomorphological features of salivary gland lesions with histopathological correlation and performing risk based stratification of these lesions using the recommended Milan system for reporting of salivary gland cytopathology (MSRSGC). Methods: The current study was conducted on 192 retrospective and prospective cases of salivary gland lesions over a period of three years from October 2014 to September 2017. 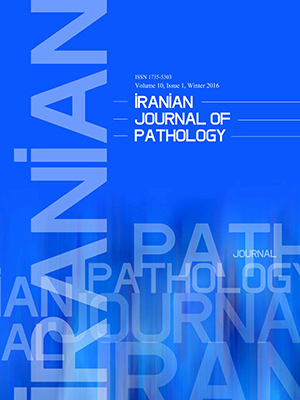 Cytohistopathological correlation was observed in 62 cases. Subsequently, cytomorphological features were further revaluated, classified according to MSRSGC into six groups, and correlated with clinico-histopathological features. Result: Diagnostic sensitivity and specificity of FNAC for salivary gland lesions was 63.16% and 97.62%, respectively. The positive predictive value was 92.31% and negative predictive value was 85.42%. The diagnostic accuracy to differentiate between benign and malignant lesions was 86.88%.The number of cases in each diagnostic category and the risk of malignancy (ROM) were as follows: nondiagnostic – three cases (ROM – 33.33%), nonneoplastic – 14 cases (ROM – 7.14%), atypical – one case (ROM – 100%), benign – 28 cases (ROM – 7.14%), NUMP – one case (ROM – 100%), suspicious – one case (ROM -100%), and malignant – 13 cases (ROM – 92.30%). Conclusion: Risk based stratification scheme as recommended by MSRSGC can provide a standard method to analyse the results and help to plan the management of salivary gland lesions.